Console variations are nothing new. Most consoles have redesigns over time as a console matures. Initially, the primary reasons for this were improvements in technology, improved efficiency, and in general, cost savings. The NES, SNES, Master System, Genesis, Sega CD, PSone, Wii, PS2, PS3, PS4, XBox 360, etc., all had revisions for these reasons. Then you have variations not due to efficiency, but cosmetics. 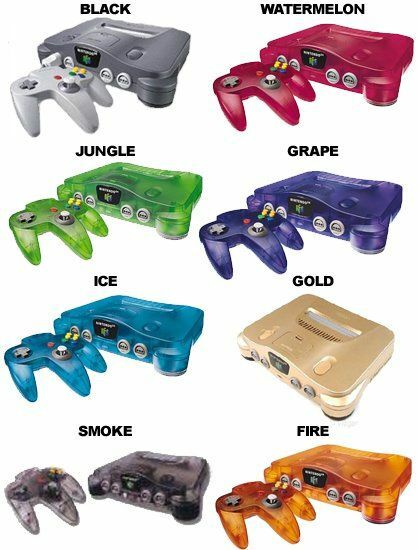 The N64 and Gamecube had several color variants in the late '90's and early 2000's. At first I thought this was a strange notion. Game consoles were expensive, how could people "collect" them. Then I realized: a company had to make several production runs of a console during its lifespan, why not vary the colors? 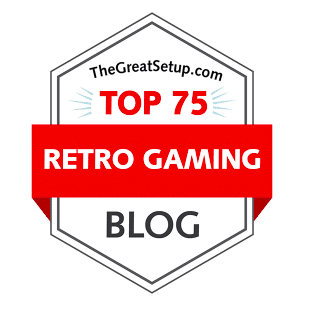 It is only now, in today's retro gaming collection scene, where collecting consoles is feasible, after prices on old systems have fallen. People would not be collecting several variants of PS4's today, but they might ten years from now. Sometimes there are functional reasons to buy a variation of a console that you already own. The first wave of "fat" PS3's were backwards compatible with PS2 games, so the demand for a functioning unit is decently high. Add to that the failure rate of the older hardware, and you have an increasingly rare variant of PS3s. The 1-chip Super Nintendo revisions are known to output sharper image quality that the previous versions, convincing some retro gamers to seek them out. Early versions of the Gamecube had a digital video out port as well a multi-video out. This is a moot point however, unless you have the rare component cables that actually make use of the port. The "Core Grafx" PC-Engine has composite video out, which was an improvement over the original PC-Engine which only had RF output. The first wave of Sega original model-1Genesis had no TMSS message at startup, instead booting straight to the Sega logo. 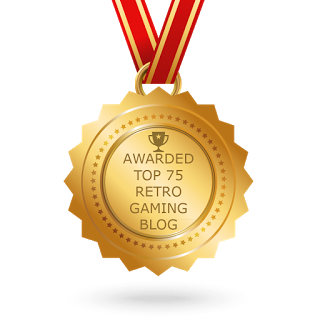 This post is about the Sega Saturn Variants. There aren't as many as the N64, nor are they as colorful, but I wanted to share anyway. There is almost no functional difference between any of these variants, but they are region locked. This is easily overcome by using a region bypass card such as an Action Replay cart. 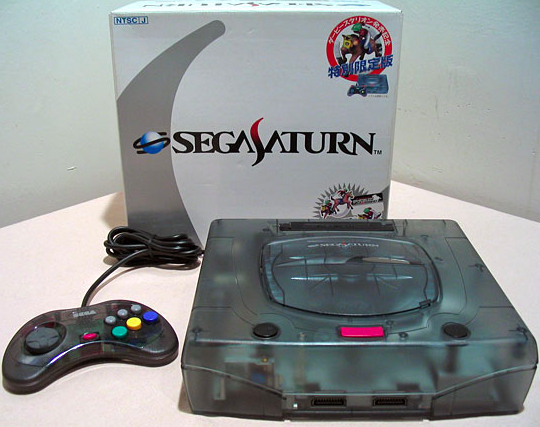 My first Saturn was the North American model-1. It sports smaller, oval buttons for power and reset, and has a cd-access LED light. There is a glossy faceplate that surrounds the buttons, which is absent in later models. I bought it in 2008 off of eBay. Unfortunately, I sold it a few years back for no real reason, other than I was shedding some duplicate consoles. I regret that, as this one was special to me. It was the console that I cut my teeth on playing all of the import Japanese shoot'em ups on. The North American model 1 controllers were an ergonomic nightmare, with odd depressions in the d-pad, and unnecessarily large form factor. The model 2 is recognizable by its larger, round power and reset buttons. 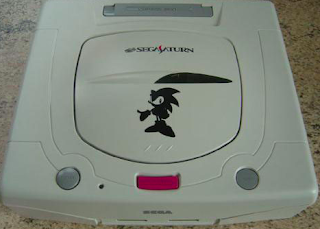 The cd-access light is gone, but there is a new Sega logo on the front face, which looks nice when the console is tucked in an entertainment center. The model 2 came with a redesigned controller. Actually, it was the original controller design that came with the earlier Japanese model 1. This was a smart move, as this is one of the best controllers ever made for 2D gaming. The 3D analog controller was released around the same time, and feels really good, despite it looking huge and unwieldy. The analog stick was primitive, with a strong return to center and somewhat forced dead zone. This doesn't matter to me as I play primarily 2D games with the d-pad anyway. The Saturn launched in Japan first, and sported a grey/blue color scheme. I'm not crazy about the shade of grey, but I like how the blue pops on both the console itself and the controller. This controller is the same design that would later come packaged with North American model 2 consoles, except in black. The Japanese model 2 was white, which looks really awesome if clean. Most of these suffer the same fate as early Super Nintendos, having yellow discoloration due to the Bromination in the plastic. Mine isn't too badly colored. A matching 3D controller was also released in this color. The last official model to be released was the Japanese "Skeleton" model, which is transparent. It has "This is cool" emblazoned across the cd lid, and they're right. Sadly, no 3D controller was released in this color scheme. The rare Derby Stallion model 2 was released as a promotion for the game of the same name. It is a lighter transparent color than the skeleton Saturn. I don't own one, and I don't anticipate shelling out the kind of cash that this would go for nowadays. Still, its cool to know that it exists. The Sonic Saturn was released only in Japanese Toys R' Us stores. It is also exceedingly rare. If I saw one I'd be tempted, but the price is most likely prohibitive. Since Sega had licensed other manufacturers to make their own versions of the Saturn in Japan, there are even more versions available. Being Japanese exclusives, these are rare and would have to be imported. Companies such as Hitachi, Victor, and Samsung all had their own versions. Again, functionality is essentially the same across all variants. Well, I just wanted to share my Saturn console collection. There's no real deep message or point to this post. Thanks for making it all the way through! I don't think that I will collect variations of other systems. I'm not the biggest N64 fan, so that's not happening, and I hear there are a lot of XBox 360 variations, but I'm not a fan of that console either (I don't even have one). The Saturn is special to me, so I guess that's why I favor it over the others.